An established road show, all new and improved: Following the success of “IP on Tour” since 2004, IP and the RTL Group decided to further strengthen their position as innovative television market leader. Modernised screening events set a new framework for information, shows and communication. 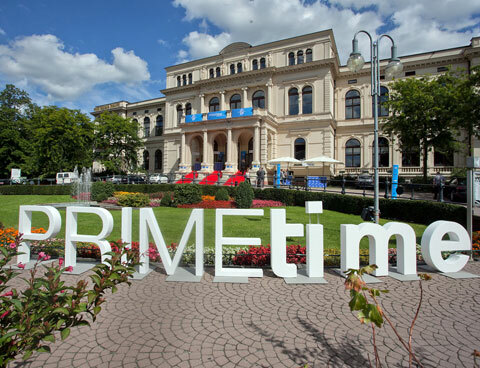 Along with the redevelopment of schedule and design, the event received a new name: “PRIMEtime – IP vor Ort”. “PRIMEtime – IP vor Ort” with its brands RTL, VOX, Super RTL, n-tv and RTL Interactive is the most successful screening tour in the industry – and IP has more innovative surprises in the pipeline. Services: Complete event concept, locations, technical planning and production. Realisation of 8 events in 4 cities within 10 days.